Fisher became politically active in 1996 when she moved back to North Carolina because she felt the GOP had lost its primary mission to uphold the U.S. Constitution. This frustration led to her write Common Sense Conservative Prescriptions Solutions for What Ails Us. The book, which first appeared in 2012, helped, in her view, to usher in a new era of GOP politics which accurately linked the Republicans to their conservative past. Fisher encouraged other African Americans to join the Republican Party by arguing that that the GOP’s interest reflected black community core values even when most African Americans voted for the Democrats. Dr. Fisher worked on the Republican Party Presidential campaigns of George W. Bush, John McCain, Mitt Romney, and Donald J. Trump. 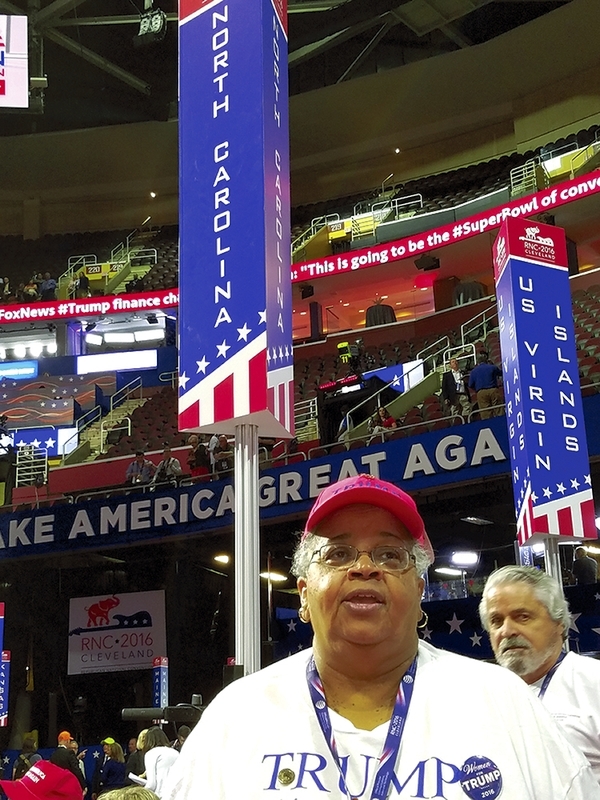 Additionally, she was the RNC’s Committeewoman for North Carolina, which made her the first black woman to serve in this position and the only black woman on the national committee. Fisher was elected to the post in June of 2008, and was re-elected in 2012. Outside of her role in the RNC, Dr. Fisher enjoys writing and telling stories about her friends, families, and other life experiences. During her early life, Dr. Fisher converted to Judaism. As a Jewish American, Dr. Fisher also sometimes spends time in the Temple in Salisbury, North Carolina where she resides with her two adult sons. RNC Communications, “Women’s History Month Highlight: Fisher,” GOP, https://www.gop.com/womens-history-month-highlight-dr-ada-fisher/; “Ada Fisher – Biography,” Newsmax, http://www.newsmax.com/Insiders/AdaFisher/bio-337/; “Ada M. Fisher (NC), Project Vote Smart Biography, https://web.archive.org/web/20121011210104/http://votesmart.org/candidate/biography/41484.